Our treatments include laser treatments, skin care consultations, chemical peels, dermaplaning, permanent makeup microblading, and injectables (such as Juvederm, Botox and Dysport). 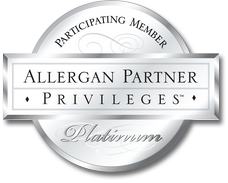 We are a leading Botox provider in our area. 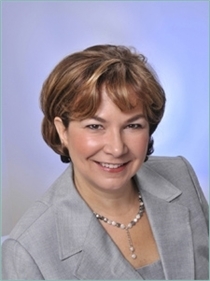 Ofelia N. Melley, MD and the Staff at The Laser Institute of Pinehurst, wish you a warm welcome to our practice. Whether your visit is for anti-aging, wellness or aesthetics, we are here to serve you. Your health, beauty and wellness are our primary concerns. Our unique better health and wellness approach for each client using Anti-aging Medicine & Aesthetic treatments allows us to focus on all the systems of your body with the goal of making you feel as good as you look. One of the key differences that sets us apart is our long-term lifestyle approach to improving not only your appearance on the outside, but moreover, how you feel on the inside, taking into consideration of all the systems of your body and the importance of fine tuning those systems through the use of aesthetic medicine and hormonal therapy. Our aesthetic practice is dedicated to skin and body rejuvenation. Laser treatments, dermal injectables, aesthetic skin care, permanent makeup and skin care products are the highlights of this practice. Our providers use the latest technology to provide effective skin care treatments for a wide variety of skin conditions. Our staff are experienced technicians who will provide you with the highest quality treatments. 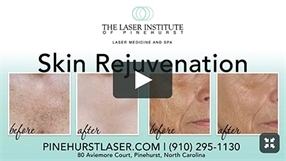 Laser treatments include laser hair removal, tattoo removal, treatment of aging skin, fat reduction, wrinkles, sun spots, facial vessels, angiomas, port-wine stains, warts, acne and acne scarring. Dr. Melley is the primary applicator of injectables and neuromodulators including; Juvederm, Radiesse, Belotero, Perlane, Restylane, Botox, Dysport and Xeomin. She is an experienced, advanced injector, and clients come from all over the world for her treatments. Aesthetic skin care is the foundation of healthy skin. Our services include skin analysis, facials, chemical peels, full body waxing, event makeup, SkinPen micro-needling, dermaplaning, microdermabrasion, Hydrafacials, permanent makeup and rejuvenating treatments for your skin and body. To complete your cosmetic skin care needs our staff includes a physician on-site, licensed medical professionals, laser technicians and aestheticians. Get directions to our Pinehurst, NC location, our office hours, and how to get in touch with us. Hear what actual patients have to say about our office. Learn about all of the procedures include cosmetic, medical, and aesthetic. View the results gallery from our patients.